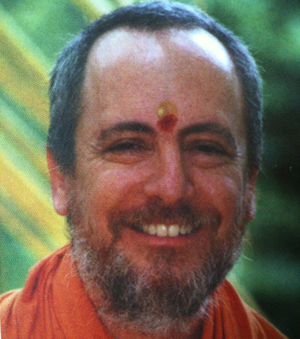 I began my spiritual quest at the age of 18 and moved to India from the US at that young age. Now I am 64 years old. 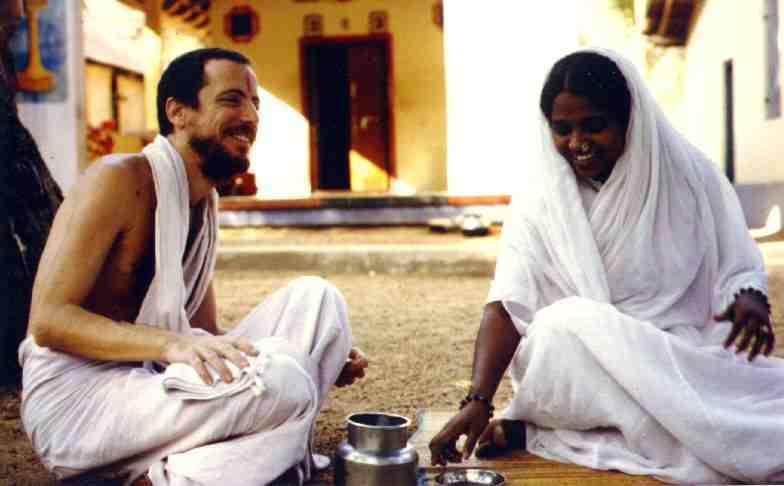 I was first introduced to Gail Tredwell in 1978 when she arrived in Tiruvanamalai at the ashram I had been residing in. Since I was living with and closely associating with a well-respected teacher, Gail looked upon me with reverence and respect. She would pose her spiritual questions to me, and I would give her general guidance on spiritual matters. Upon reaching Amma’s ashram at the beginning of 1980, Gail seemed innocent and shy initially, but I soon began to witness a change in her behavior. I was surprised by her obvious lack of maturity as her attitude quickly shifted and negativity got the better of her. She would react like a jealous child in relation to Amma, often kicking the side wall of the small hut that we lived in when peeved at Amma for whatever reason. As she eased into the living situation and began to feel at home, a different side of her personality manifested. At first, I thought it was due to her immaturity, but as timed passed, I realized that it was not that simple. She started to make fun of and mock people right in front of their faces without any tact. No one was exempt from her immature behavior, including me. If anyone directly criticized her, even if it was for a good reason, she would immediately react towards them with an unusual viciousness and display of emotion. Of course it’s natural to react when one is criticized, however, Gail’s reactions became more extreme and any respect for me quickly faded. She grew arrogant and abrasive. Somewhere I hoped that, through association with Amma, she might eventually start to introspect and mend her ways. Yet, this never happened, and even until the time she left this behavior not only continued but worsened. Initially, except the house where Amma’s parents and siblings resided, the rest of us lived in a single tiny hut. One day while I was lying down in the hut with a debilitating migraine headache, I felt very thirsty. At that time, Gail was cleaning the floor with an old rag. I asked her to give me a drink of water since I could not easily get up. Her mood instantly changed and she shouted at me to get it myself and then threw the dirty wet rag in my face. Naturally, I felt upset, got up, and struggled to make my way towards the bathroom on the far side of the property. It was midday and extremely hot, so I stopped behind the temple to rest in the shade in order to gain some strength. Amma saw me there visibly struggling and came over to see what was the matter. I explained to her what just happened. Saddened by Gail’s latest outburst, she advised that I consider Gail as an ignorant child and not react when mistreated by her. If I did react, it would make me as ignorant as she was. This made perfect sense, and I decided to practice patience and restraint from then on. Of course, with Gail around, there were a lot of opportunities to practice these teachings. I used to feel sympathetic towards her because, from my experience serving my spiritual teacher in Tiruvannamalai, I knew that serving a Mahatma was an austerity equal to performing immense spiritual practice. Due to the close proximity of such beings, a devotee’s innermost negative tendencies, like anger and rebellion, come to the surface and cause a lot of inner turmoil, which may manifest externally in one’s conduct as well. But, eventually, a devotee realizes what is happening and learns to restrain and reject those vasanas (innate tendencies). They are like poison that was consumed in the past and prevents one from becoming healthy unless purged out. In other words, these negative vasanas that have accumulated from past due to ignorance must surface and be destroyed in order to develop purity of mind. Of course, Amma was fully aware of this fact, and always found ways to teach us to become aware of our own negativities and inner struggles. She had even advised myself and Gail, very early on, that a Guru will first reveal a bit of their divinity to the disciple and then act in such a way as to bring out one’s vasanas in order to purify the disciple. Such teachings are for one’s spiritual growth and evolution and must be taken as lessons to learn from. I continued to show sympathy towards Gail as I mentioned before. But eventually, her anger, arrogance and foolishness not only persisted, but grew. I wondered about her stubborn nature but could not do anything about it. I could just silently observe it. Eventually, I decided to keep a safe distance and had minimal contact with her during the last years of her stay. During her 20 years at the ashram, I was not aware of the accusations of abuse that she has leveled in her book against Amma and Amma’s disciples. Reading these allegations make me think she is very confused and mentally unwell. She herself mentions in her book that, “I felt too much pain to review my beliefs or to determine what had been real and what had been projection.” This statement reveals a lot about Gail’s false perceptions. Depression is a condition in which, among other things, can cause a consistently negative, painful and angry mindset. Depressed people can perceive those close to them with paranoia and negativity and project situations upon them. When the brain chemistry becomes unbalanced due to various factors, this is what happens. Medicine can help a lot, but it is difficult and humbling to admit to oneself that one should get treatment. Although Gail was in a very bad state when she left, I never felt that she would publish a book like this and go to such extremes to promote it. Although she obviously had a lot of anger and resentment, I never imagined that she would write a book, which is self-destructive and might destroy the faith of others who are not beginners and well-grounded in their faith. Surely, she did have some awareness of Amma’s greatness. I think that the people who showed a lot of sympathy towards her after she left, encouraged her to write and publish the book and convinced her that it was the right thing to do. As some of them had already published material against the topic of gurus, perhaps seeing Gail’s vulnerable condition prompted them to selfishly seize an opportunity to push her book out in the marketplace. Gail quotes some of those ideas at the end of the book and it’s obvious there was a motive to push an agenda. Thank you so much, everyone, for sharing. This has been a difficult few weeks for me but after reading the insights that Swami Paramatmananda and others have shared, I feel at peace. Om lokah samastah sukhino bhavantu! It’s the same to me. I prayed to Amma, she would help me to understand Gails book – which I began to read in a foreign language, beeing very confused and desperate. And I’m deeply grateful reading now the statements of so many people of her “inner circle”. Thank you all – thanks, Amma. I love you. Om lokah samastah sukino bavantu. Om shanti, shanti, shanti. Om sri gurubio namah. Hari om. In the early 1990’s I remember reading Gayatri’s public spiritual talks and how she described coming to Amma for the love of a mother. Later I read another one of Gayatri’s satsang’s about her description of jealousy that she had toward another girl that came to stay with Amma. When Amma started to give the new girl love,Gayatri said she became so jealous that she even vomited because of the intense experience of sharing Amma with another. She also described how Amma held her in her arms after that initial vomiting incident and comforted her. As Amma’s mission continued to expand and started reaching out to the whole world, what happened that Gayatri could not live with that expansion? Amma showed Gayatri she had intense jealousy inside of herself.. At that point of Gayatri’s spiritual journey, Gayatri made choices as to how she would operate within. Conscious or unconscious, most likely unconscious, because most emotional reactions are from the unconscious mind. What did you do after that Gayatri? Did you deeply contemplate that feeling of jealousy every time it came up until it fizzled out some years later? Did you offer your jealousy at Amma’s holy feet and did she help you sublimate the emotion? Did you reflect about your actions,thoughts and deeds, as we are taught to do as an important aspect of the spiritual path? Were you getting this knowledge in the beginning of the ashram or did you just plod on with your emotional habits and let them evolve into deeper more entangled habits? I believe that if these emotions are not faced objectively they will continue to grow and like the ephemeral world of natural plants will expand like the roots of a tree, getting bigger and bigger until they evolve into bigger habits that entangle with other parts of the human psyche and then can manifest as anger, hate and vengeance.
. Remember many came to Amma to be on the spiritual path. Amma represents the spiritual path in the highest form. I don’t think the spiritual path is to be compared to western psychological standards of human evolution. In India, Amma is considered to be a Mahatma. In ancient Indian classical literature, art and culture there is extensive descriptions of what it means to be a mahatma. The deep cultural heritage of India is one of the most profound cultures of the world. It is a culture deeply rooted in existentialism that makes me understand my life and the existence of the ephemeral world in a profoundly different way. For me Amma represents the heart of ancient Indian teachings and culture. I am a disciple of Amma’s, and I am happy to be one of the fish that swims in and around the phenomena of this incredible being. I’d rather be a fish around Amma than a fish of western narcissistic culture that focuses on individualism. Yet, I grew up in the west and I have those narcissistic tendencies that rule a great part of my personality. Can I accept myself for where I am at? Can we accept Gayatri for where she is at? To slander a master like Amma is a great sin. Just a few days ago Amma’s personal attendant told us that despite these serious alligations from Gayatri , Amma still calls out to Gayatri in the morning time. Amma is still reaching out to Gayatri and giving her the opportunity to come to the light because that is what the name Gayatri means. If Gayatri is deluded, and really believes what she says she is true, where does she stand? If she is delusional, what karma does she get? 1st.2nd, or 3rd degree karma? What karma will someone get for misleading others who on the spiritual path? You are publically slandering one of the greatest masters to walk the face of the earth! In India, the tradition teaches that if someone slanders your guru you are obliged to stand up and fight, not be passive about someone’s aggressive attack against your teacher. There is a book called The Road Less Travelled “, by Scott Peck. Peck is a psychologist who says that neurotic people are easier to treat because they accept and admit their habits and problems. People that always blame others for their problems and don’t take responsibility for their actions have a character disorder. Character disorders are the most difficult to treat because these people don’t accept responsibility for their social actions with others. They always blame others for their problems. If a person has a character disorder and follows a guru how could a guru ever discipline anyone like that? It would be impossible unless there is a change in the veil of the psychological shealth that the personality structures itself upon. A very well thought out and pertinent comment showing an inspiring depth of spiritual understanding. Wish everyone could read it. Yes, I agree with Rta. Paramatmananda’s article shows a depth of understanding and is very well-written. Several of these articles, to me, shed a great deal of light and Paramatmananda’s is one of these. And Nikhila’s commentary is also most excellent! Thanks to you both, and to all have taken the time and trouble to think through and compose what they want to say here. Pranams to Amma’s beautiful Lotus Feet! I am an ardent devotee of Amma from 1997… I myself have many transforming experiences.. I dont like to call it a miracle since its always misunderstood. But Amma always changed me to be more happy, smart and also helped me to understand the real spirituality… I came to read this illustration of Gail’s book and I got disturbed because I have not witness a single such experience as she describes. If anything she says is would be true at least once I or many others would have come to know about such an experience. Basically what she is saying happened- never happened! It does not exist. I can never forget all the good things Amma has done for me. How can Gail ever? I don’t understand. I love Amma very much. Iam amma’s devotee since 1995 and I have been visiting ahram regularly. Amma teaches us how to lead a happy and contented life with the right amount of awareness and spiritual understanding. Following ammas principles only I got benefited and only Iam aware of it. If that is true millions of people have got innumerable experiences which only they are aware of and even a small portion can’t be revealed to everybody. GAIL can’t influence my thoughts because I have experienced ammas grace in my heart with very little effort from my side. Iam not directly associated with ammas organaisations but a very common man living in this world leading a happy life only because of Amma’s grace. As a visitor from 1995 I have spent lot of time in the Ashram and even a new visitor also feel at home in ahram . Amma live in the heart of people, ashram and charity works only give a chance to all, to realise our own positive qualities and also to help the beneficiaries’.. I wonder even after having 20 years of association how GAIL don’t have any good experiences. I pray Amma to give courage to her to comeback to the real understanding. I have been blessed to be an ‘Amma’s child’ since birth. I grew up running around that ashram, and even when I was miles away, my heart would still belong there, in Amritapuri, with Amma. I was even more fortunate to spend 5 years of college at Amritapuri… which made me a much stronger, spiritual, yet practical person. Every good thing that happened in my life, is because of Amma’s grace..and every experience I have had has only strengthened my belief in my beloved Amma. It astounds me that someone who had spent so much time with Amma, been in such close proximity to her, can claim such horrifying things. Perhaps she was unable to truly grasp Amma’s message of love and compassion….but nothing will EVER take away the love that Amma has given me for the past 23 years. Like many have voiced their experiences here, I cannot deny the inner transformation that has happened within and peace experienced after having met Amma.. even though i dont talk the local language, the Love we experience in Her presence is simply invaluable and there is no way one can explain this in words..and i can say this by Her Love alone, i was able to see my ignorance/darkness in which my life revolved and bring in a greater clarity about myself and the world we experience and inner strength to face the life’s challenges… and you know it clearly in your heart and you simply bow down to That Love (if you have not yet melted) and no one whom so ever it is or how long he/she has been with, can influence you with or steal your own experience within.. I feel sorry/sad for Gail, who after having been in so long and so close, seems to have lost somewhere by going along the misguided path and carrying out such deeds…. Paramahansa Yogananda lived in the U.S. from 1920—1952. It is said by his closest devotees that when Yogananda came to the West, he took on the collective karma of West, it is said he had no karma of his own, but in order to bring the light of truth to the West, he became part of transmuting the collective karmic realms. A Satguru such as Amma can take on the karma of an individual, a group of people, or a country, or the world if it serves the greater dharma or spiritual advancement…. Amma knows the reason and the outcome and is willing to do this from her vast heart of Love and Goodness… To this i bow with sincere gratitude…. let good medicines be given to her to heal her mental instability. A wise sage once taught sometimes things need to go far ‘out of balance’ before they get better ! A few months ago wind of this situation blew over to Denmark .My immediate feeling was not to give this any attention ,so I dropped this story into the waste basket from where it came ! A few days ago someone from Amma Denmark sent a e-mail about this to my wife ( My wife oversee’s a Satsang group at our house with Ammas blessing ) She was very upset reading all these stories about Gail Tredwell sent (from a Danish Amma devotee) who just returned from the ashram in Kerala. In reflection this situation reminded me how some years ago in 2001,when one of my close friends attacked me and made a number of negative statements about Amma . My first reaction toward my friend was ‘anger’ but when I looked deeper inside myself ,I clearly saw that no one’s ordinary personal opinion ,can ever pull down anyone who is established in the truth . I thus answered my friend ..its my realization peoples negativity & hate toward Amma only reflected their own deep pain & ignorance ; also its my strong feeling that ”the more people carry on attacking Amma” the more painful this will be for them. In other words history has shown all of us that ,any strong attack toward a true saint ends up creating a living hell inside that persons mind who creates all these lies. This state can also cause physical and mental illness ,lack of sleep and even suicide .I then recounted to my wife how many other great saints and masters had disciples turn against them (one example was Jesus ) and in the end truth always prevailed . I therefore feel this ‘book’ is a perfect opportunity for Amma devotees to stand up and be counted and strengthen our faith to carry on ! In this regard ‘no one’ is to blame for the contents of this book . When one sees all the rubbish that is printed in newspapers today being taken as true ..this book is really nothing a absolute zero.! I am sure if Amma devotees continue to be unified our collective sense of purpose to be positive will carry the day ! My most humble pranams at the holy feet of Swami Paramatmananda Puri Ji, thank you for your insight about Gayatri’s personality. I have the uttermost respect and devotion towards you ever since I met you at the San Ramon Ashram and read your books, especially heard your satsang tapes. I felt that I could understand your satsang’s the best. The first time I saw amma at her ashram in San Ramon, I was in love, not sure with whom, but I felt a joy so great that I had never felt anything like that. I became intoxicated just like being in love. When I heard she was leaving the next day for Chicago, I could not let her go, I had to go after her. Being quite young at that time and having a young son, I still made that trip to Chicaco, never having gone there before. Such is amma’s darshan. It is from heart to heart. She is God, a Mahatma, an incarnation. If I deny my very own personal heartfelt experience and believe someone else’s experience, that is impossible. How could I? I know what I feel, it is in my heart and soul, not an outside experience. We are fortunate to be born at a time when a Mahatma like Amma and a Swami like Paramatmananda Puri Ji are walking on earth. I firmly believe that Swaminiji (Gayatri) is also playing a huge part in the big drama of God, such as Rawana played when the Lord Shri Ram walked on earth. Unfortunately, in negative roles. Otherwise, I cannot understand how amma did not recognize these very serious shortcomings of such a close diciple in the 20 years she was there. Amma is one with the Universe, she knows what is going on everywhere. Gayatri is just playing a part in the big cosmic drama, and I am certain she is a beloved of amma. She is probably the chosen one to play this part. How can white chaulk be visible on a white board, it can only be visible on a black board, right? Gayatri is playing the negative part which will show the world, the real amma, the positive God in amma. May amma bless Gayatri, the lovely God’s child. I still have some song cassettes which has Gayatri’s voice. She sang so beautifully, an angelic voice. I wish you well, my dear Swaminiji and I wish that God had not allowed this to happen in this kaliyuga. Everything that happens in this world happens by the Will of God. Even a leaf on a plant does not move on its own, it moves by the will of God, then how can something so big, happen without the will of God? Amma chose Gayatri to play this part, maybe she is blessed for this part. A million books written like this, even by Amma’s close swamis, cannot, will not change my heart to heart experiences of my Guru, Satya Sai Baba and Mahatma Ammachi.